Many people take some time before they will consider contacting someone to get help in their private life. You could feel intimidated by the prospect of opening up to someone and admitting to oneself that there is a problem isn’t easy either. The first step to overcome this is having the insight that there is an issue and it CAN be dealt with, there can be some comfort in this step alone. How bad do things have to get before you can feel better? Some people visit at crisis point, eg stress or phobia related whilst others have a gentle meander and come along when they know they are absolutely ready to tackle the issue once and for all e.g. to stop smoking. The overall important factor is the best outcome can only be achieved when you are 100% ready to make the necessary changes in your life. Counselling will help with emotional issues, release concerns and combined with hypnosis can help you to move on in your life, happily, healthily, successfully. The first session usually comprises of a 60-90 minutes consultation 60-90 where you can tell me about what’s happening in your life and where you want to go with it. Depending on how you feel a hypnotherapy session is also offered to provide experience of the process and also some comfort as needed. From this initial session I can then customize your therapy according to your specific needs, and you will have my full support outside of the sessions to keep me updated on how you are doing. You no longer have to fear being alone or having no one to turn to. So if you feel the need to speak to some one independently and privately and you think counselling and hypnotherapy may help then please feel free to get in touch and I’ll be happy to help put your mind at ease. 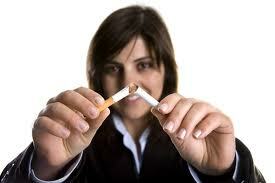 *OFFER* From Jan 2013 upto March 2013 Stop Smoking with Hypnosis Sessions available for £125 instead of £195. Please call or email to book your session now. Stop Smoking Quickly and Easily, using Hypnotherapy for Smoking Cessation in Leicester. Have you seen the Department of Healths hard hitting campaign, where there is a Cancerous tumour growing inside a cigerette? It’s very graphic and is launched in response to smokers who think that the health risks are greatly exagerated. If you’re a smoker its likely that you will quickly turn away from it as it is pretty gross, or like the smoker in the advert, pop outside for a well earned fag. As an ex smoker, I know how hard people THINK it is to stop smoking. You’re ADDICTED to it, you can’t STOP yourself etc etc. The truth is, it isn’t difficult to stop smoking, you just have to want to do it. Usually something will trigger you to stop, whatever that may be is down to you. Most smokers wish they were non smokers. Of course there are the die hards who insist they love every fag they take, fine, see you in Hospital. Does it look familiar, propped up outside the back door in all weathers, cold, lighting up and taking in that big inhale, seeing the grey noxious smoke billowing around you? Most smokers hate the smell of smoke, no matter how many times you scrub your hands, spray perfume and chew mints the smoke smell will still be there as it permeates through your SKIN. How can it not when you are inhaling poisonous smoke into the very core of your being? A friend of mine contracted the Norovirus over Christmas along with a terrible chest and lung infection. As a smoker this was doubly worse as her lungs were smoke damaged and her recovery has been laborious. She has been in complete agony with bruised ribs and lungs through coughing so hard, amongst other unsalubrious symptoms. My smoker friends never ask me for help funnily enough, only when they need it, as was now in this case. She realised the damage she had some to herself and as a young mum didn’t want any repercussions that her past smoking habits can bring. I’m happy to report she hasn’t had a cigarette in 12 days and recovering well. What will it take you to realise you need to/want to stop? Whatever it is, don’t let it be too late. Stopping smoking with hypnosis is one of the easiest ways to give up. The body starts to repair itself within hours and you can begin to feel better immediately. You can see my website and blog page for further details and my Stop Smoking New Year offer. Don’t let it be too late for you, you can stop smoking anytime you want, it will be easier than you think. With less than two weeks to go for Britain’s national No Smoking Day, have you thought about giving up? Perhaps someone in your family is a smoker, your mum or partner, do you wish them to stop? For their health benefits or for yours, it’s never too late! Hypnotherapy for stopping smoking is one of the quickest, easiest and most successful ways to finally quit smoking once and for all. It out performs all other methods to stop smoking and the body starts to repair itself within 12 hours of you quitting, with 72 hours all traces of nicotine have left your body! If you wish to become fitter, healthier, smell better, look better, what ever your reason to stop smoking is, do it now, as it’s never too late and you’ll never regret it. *Offer* For the whole of March 2012, I would be delighted to offer you the chance to Stop Smoking for good with a 25% reduction in price for stop smoking hypnosis in Leicestershire. You pay £150 for a one off session, where you will finally kick the habit, quickly, easily and for good. Do you realise, if you are a 20 a day smoker, you could be spending up to £225 a month on cigarettes alone?! Take advantage of this offer now and safe yourself nearly £3000 a year, let alone your health. Call free phone 0800 612 8159 now to make your appointment. How many calories in a teaspoon of sugar?